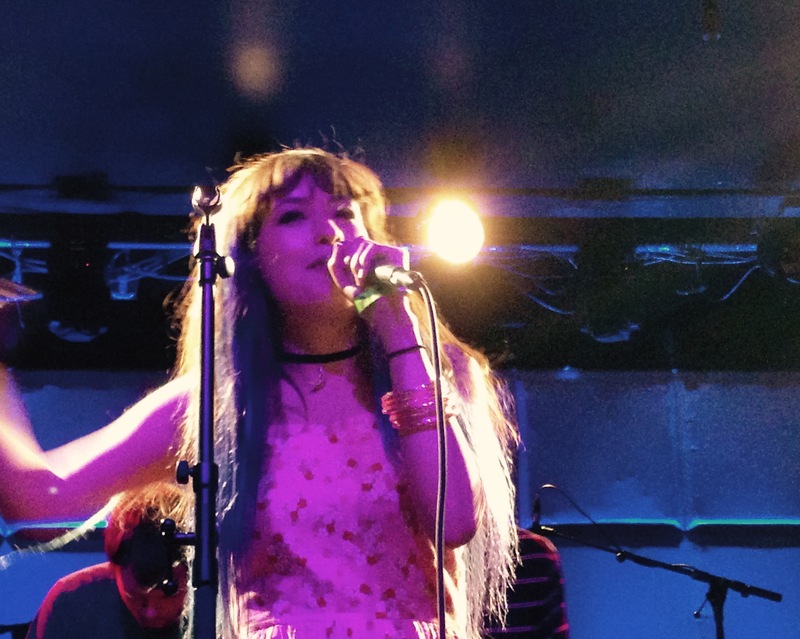 Exactly as the title says – Kero Kero Bonito is like a unicorn in the rising artist scene. 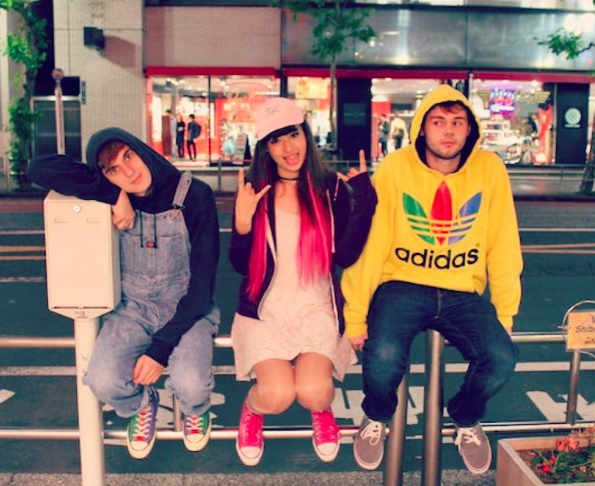 They are two lanky British producers who spin the magic as their Japanese front-dudette raps in both English and Japanese, often wearing your favorite childhood props. Formed in London, Gus Lobban and Jamie Bulled are the songsmiths that decided to launch this bilingual project and found the zestful vocalist, Sarah Midori Perry. Few days ago, they decided to share “Flamingo” on Spotify and YouTube, a single they released back in September 2014. It’s a video game-like ballad that cajoles you to cavort around in the frisky Bonito zone where nothing has to make sense. The moniker Kero Kero Bonito Japanese onomatopoeia for frog and a type of edible fish. 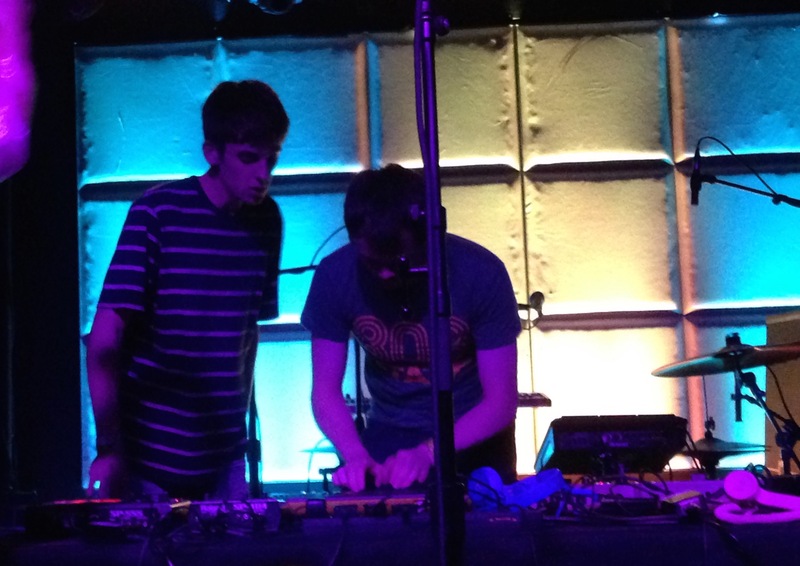 They are not on tour, so enjoy the pics we snapped when they hit LA last year alongside Skylar Spence. Photo: Sarah. She was all pink throughout the show. That’s her natural skin color everyone. 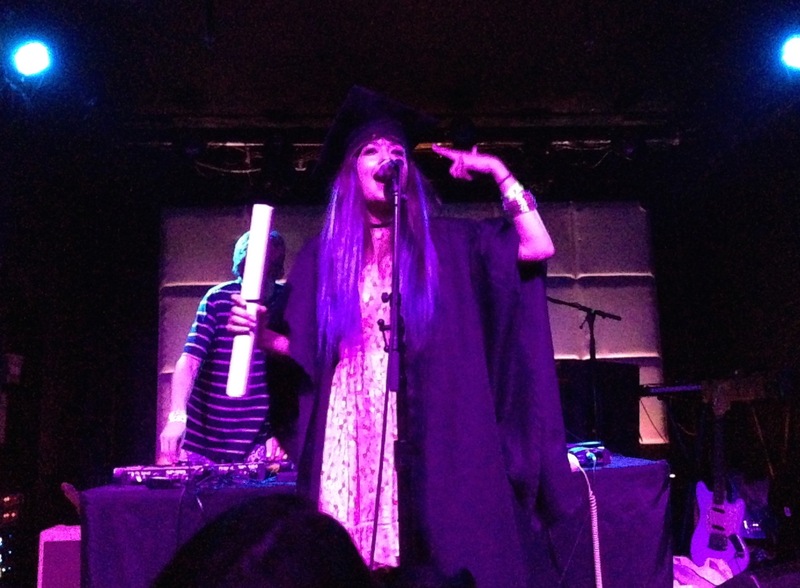 Photo: Yes, she’s wearing a graduation gown. 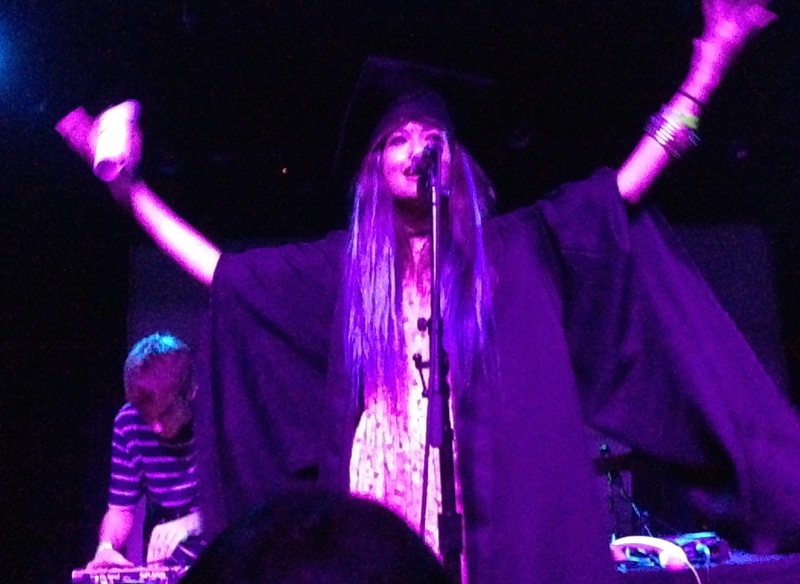 Photo: And yes, she’s also DONE w/ school.